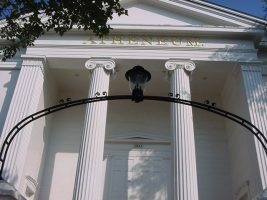 The Nantucket Atheneum offers a welcoming, educational, and safe place for you and your child. The staff of the Weezie Library for Children would like to help you and your child in your search for recreational, informative and enriching literature and media. While we are ready and willing to serve your needs, we are not authorized to act in loco parentis (in the place of a parent). Parents, guardians, and caregivers are responsible for the safety, behavior, and supervision of their children at all times in the Atheneum and on Atheneum property. 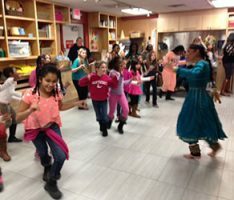 Children, like all library users, are required to respect library property and to act in a manner appropriate to the use and function of the library. We hope that the following guidelines will help clarify our concerns and expectations. Children under the age of six must always be in close proximity and within sight of the adult responsible for their safety. Children ages six to nine must be supervised while in the library. While browsing or reading in another area of the library is acceptable, parents or caregivers are asked to remain in the library building. Children over age three are invited to participate in children’s programs without the direct supervision of their parent or caregiver if they feel comfortable with that independence. Caregivers are asked to remain in the library building during the program. Children ten and older may be at the library unattended, provided they are mature enough to follow library rules and observe proper conduct. 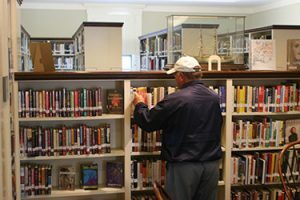 Such children are subject to the same rules of behavior as other patrons and the same consequences, including being asked to leave the library. Children of any age with mental, physical, or emotional disabilities which affect decision-making skills or render supervision necessary must be accompanied by a parent or caregiver at all times. Children under the age of sixteen left unattended at closing time may be deemed at risk. If a parent or caregiver of a child cannot be contacted or located within twenty minutes of the library’s closing time, the Town of Nantucket Police Department will be contacted to take custody of the child and continue efforts to contact the parents. Staff will not transport children home or to any other destination under any circumstances. 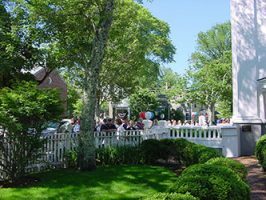 The Nantucket Atheneum welcomes visits from groups, such as schools, daycare centers, and home-schooling groups. Groups of children must be accompanied by an adult. Groups of eight or more children must be accompanied by at least two adults. Teachers or group leaders are responsible for group discipline and must remain with the group the entire visit. 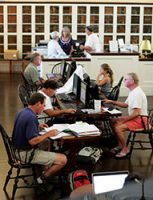 The behavior of the group should not disturb other library patrons. If you have any questions regarding our Child Supervision Policy, please contact the Children’s Librarian or the Library Director. Thank you for following these guidelines to keep children safe and keep our staff efficient and productive.